North London's family friendly local bike shop. We have been serving the Barnet community for over 15 years. See our fabulous range of: FROG, SQUISH, RIDGEBACK, DAWES, FORME, PYTHON, ELITE , FORME, CLAUD BUTLER hybrid bikes, EMU and VOLT electric bikes. Buy a custom made PREMIER CYCLES road bike. Our very own specialist brand. Our own ultra lightweight carbon frames custom made to your spec with the kit your want. We have a full range of helmets and accessories in stock. All types of repairs carried out. SPRING IS HERE SOON. 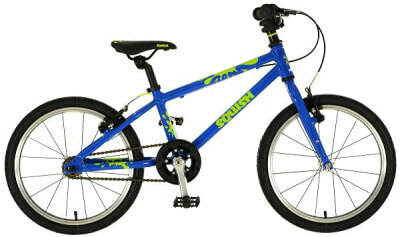 TIME TO GET A NEW BIKE FOR THE CHILDREN AND GET THEM ACTIVE. We stock FROG bikes. Lightweight, easy to ride bikes for kids. Please contact us for advice on correct sizing and colour availability. Our bikes are professionally assembled and come with a free after sales service. The CycleStore prides itself on being a family-friendly bike shop and we have supplied bicycles and equipment to generations of parents and their children in North London. From balance bikes to teen MTBs, we can advise you on the best bike for your child. 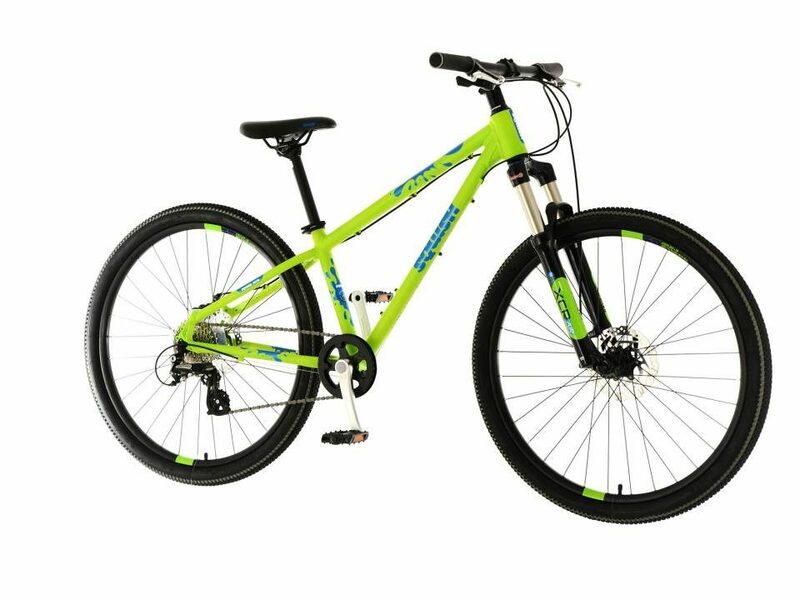 We are a main stockist for FROG bikes and have a wide selection in stock. 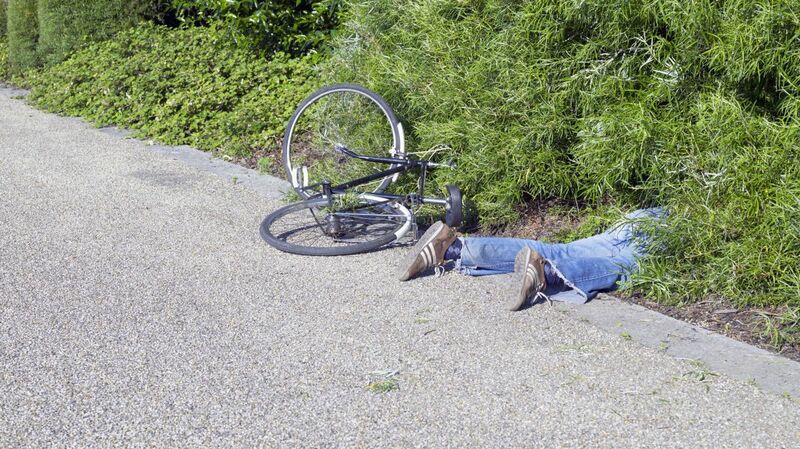 Our bikes can be test ridden in safety. 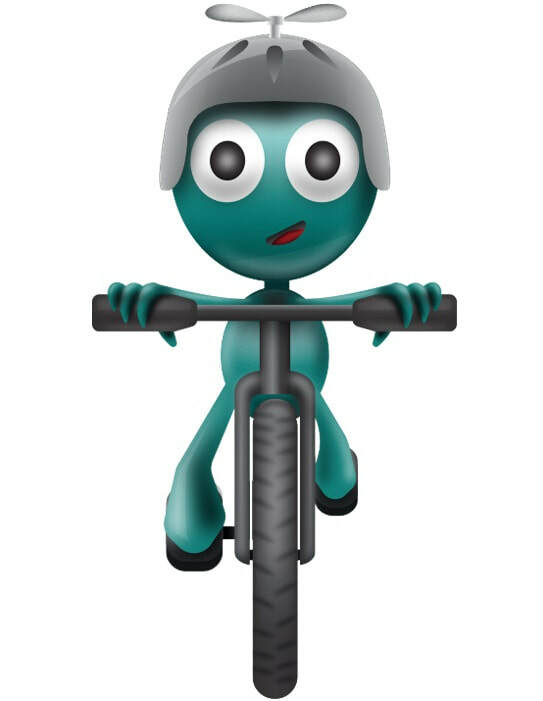 We can supply helmets and protection pads, and can fit stabilisers if required. Some FROG colours are limited so we need to be specially ordered. Have a chat with Ash & Cara for advice and availability, or better still come along to our shop. » Ideal for the more adventurous riders! WE STOCK BROMPTON: the best folding bike. 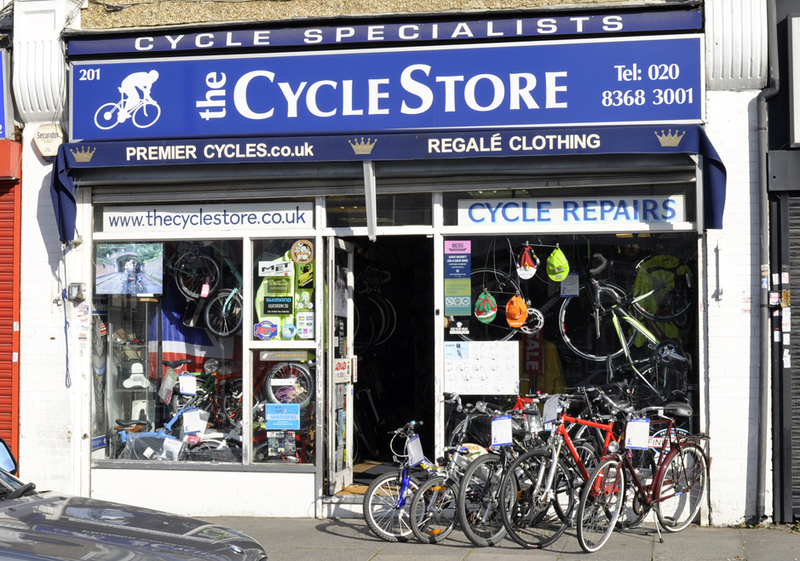 The CycleStore is a major BROMPTON dealer and service centre in North London. We stock a wide range of these British made folder bikes and can give you expert advice which model is best for your purposes. We have a selection of ex-demo machines and new bikes on special offers. Please ring us for information and our latest available stock. The CycleStore is pleased to stock VOLT electric bicycles. INDIVIDUALLY CUSTOM MADE BIKES FOR THE PRICE OF A REGULAR MAKE. BE UNIQUE! WE ALWAYS HAVE SPECIAL DEALS ON OUR OWN BIKES, PYTHON, SQUISH & FROG KID'S BIKES, SELECTED RIDGEBACK HYBRIDS, BROMPTON FOLDERS, SELECTED CLAUD BUTLER BIKES AND MANY MORE MAKES, LIKE 10% OFF ANY KROSS BIKES IN STOCK. PLUS FANTASTIC OFFERS ON FUNKIER AND MADISON CLOTHING AND MUCH MORE. PLEASE RING OUR SHOP, SPEAK TO ASH AND CARA WHAT SALE ITEMS WE CAN TEMPT YOU WITH....WE NEED TO CLEAR STOCK SO HAVE SOME AMAZING BARGAINS AVAILABLE. Members get discounts in our shop - ring for details or click pic for website. 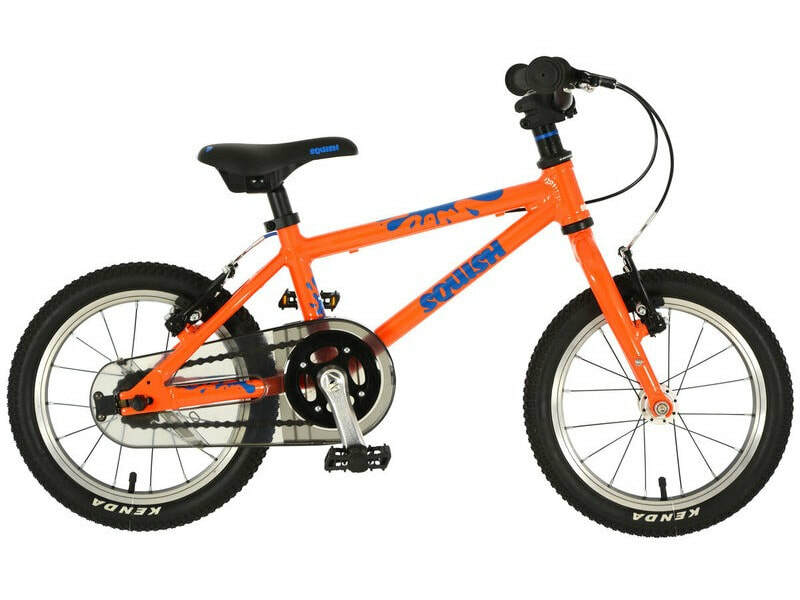 THE CYCLESTORE STOCKS A WIDE RANGE OF CHILDREN'S CYCLES FROM BALANCE BIKES TO TEEN MACHINES, IN ALL SIZES. SPEAK TO CARA FOR EXPERT ADVICE ON MEASURING UP AND MAKING CYCLING FUN AND SAFE FOR KIDS. WE ALSO HAVE A GOOD SELECTION OF HELMETS, KNEE AND ELBOW PADS AND WE CAN ADVISE ABOUT THE PROS AND CONS OF STABILISERS AND FIT THEM PROFESSIONALLY SO YOUR LITTLE BUNDLE OF JOY IS PERFECTLY SAFE. The CycleStore is proud to be a family-friendly bike shop, and we stock a large range of children's bikes of all sizes, from balance bikes to youth cycles. 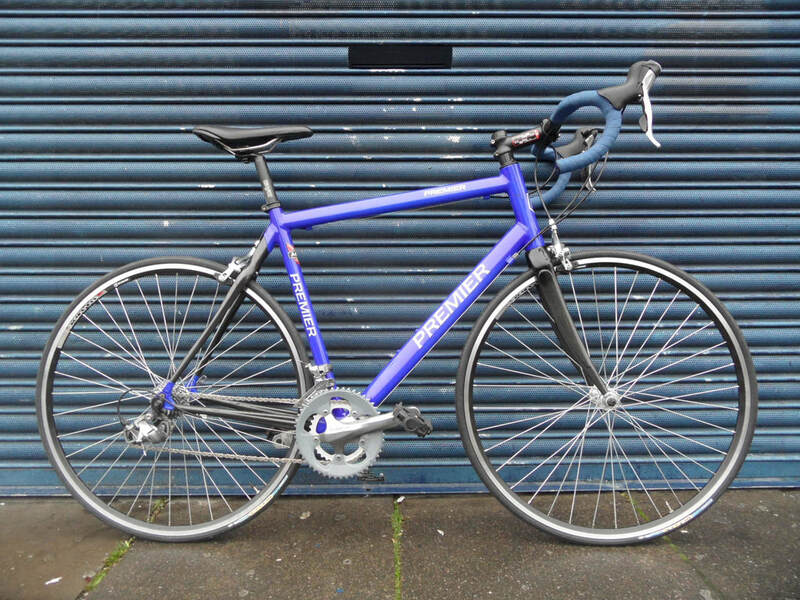 We have bikes from manufacturers such as FROG, SQUISH, DAWES & RIDGEBACK. We also supply PYTHON, which are excellent lightweight bikes and are highly competitive with FROG and SQUISH but at fantastic prices. Please contact us for availability and advice. ARE YOU IN THE MARKET FOR AN ELECTRIC BIKE? Motor and BatteryAs standard, our e-bikes come with a 10.4 36 volt SDI eBike battery powered with Samsung cells which have an in-built ‘Smart Battery Management System’ to achieve the lowest self-discharge rate. Brakes and Performance ManagementWith an Emu Electric Bike you no longer have to worry about sudden stops thanks to the top-quality Shimano Brakes and Gears system that keeps you in control at all times. 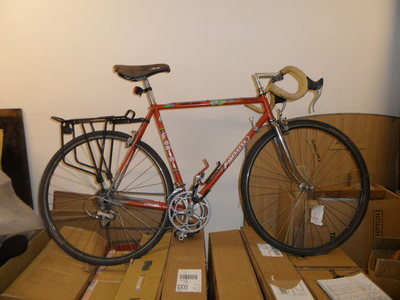 Been thinking about getting a bike for the commute to work? 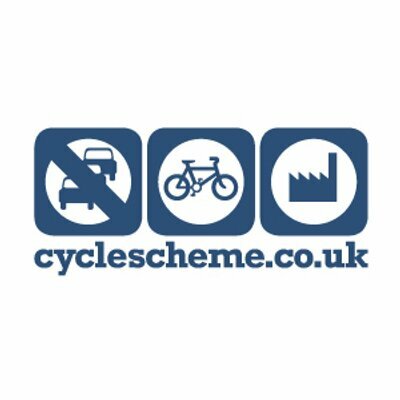 You could be eligible to get a bike and equipment on the various cycle to work schemes where you are able to have tax savings and get a bike at a great price. Click on the logos for more details or speak to Ash or Cara and they can tell you more. The Cyclestore will be presenting a brand new range of super-light custom made carbon road bikes marketed under our PREMIER CYCLES brand. These are high quality made frames equipped with Shimano groupsets like Ultegra and 105 and top quality components. We make these to your requirements. Please contact the shop, speak to Ash who will tell you all about them. These bikes will be very competitively priced against the big manufacturers. We are very excited about these machines. NO HASSLE SHOPPING. WE HAVE FREE AND EASY CAR PARKING OUTSIDE OUR SHOP. BRING THE FAMILY AND YOUR CHILDREN CAN TEST RIDE THEIR BIKES IN SAFETY AWAY FROM MAIN ROAD. 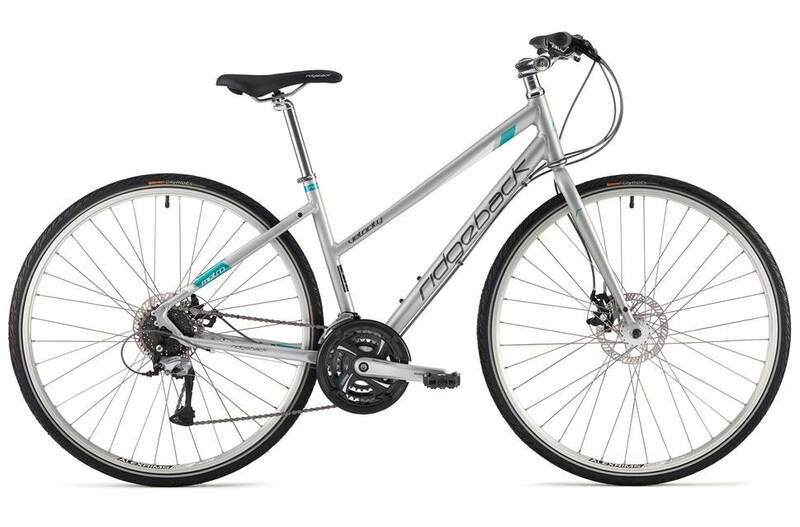 SPECIAL PROMOTION ON RIDGEBACK VELOCITY HYBRID - £75 OFF! We like this one a lot, does everything you need done well. You would be hard pressed to find a better specced and great riding hybrid at this price. Come on for a test ride, or ring for availability. Women's version available, see below. COME IN FOR TEST RIDE. We now have in stock the BLACK EDITION Brompton. For the first time, the Black Edition bikes will feature a number of key components in black rather than the usual silver, and have been developed after years of interest in the possibility of an all-black Brompton. The Black Edition will be available to order in models S, M and H Types, 2 and 6 speed gear options from all Brompton Junction stores and selected dealers Worldwide. The extremities will be black, with mainframe options being Black, White, Berry Crush, Lime Green and Lagoon Blue. Have you thought about a BROMPTON but are still unsure? We appreciated that the price is a premium but you will be getting the very best folding bike, bar none, so The CYCLESTORE offers a "try before you buy" offer. We have a selection of demo bikes so you can really appreciate just how brilliant these British designed and made folding bikes are. They are the perfect commuter and ride just like a fast hybrid. We have been selling BROMPTON bikes for years and are the experts in North London. Please come in and have a chat with Ash and Cara and we will tell you everything you need to know about these world-beating machines, and how our demo plans work. DEMO BIKES AVAILABLE: M6L, S6L, SUPERLITE TITANIUM. Limited edition Berry Crush BLACK EDITION Brompton. Some of the cycle brands we stock including BROMPTON - the best folding bike, PREMIER - our own hand-built bikes made to your specs. 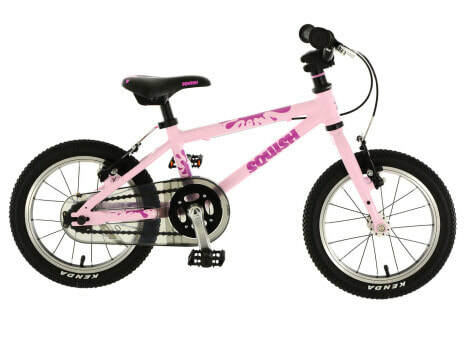 We are main dealers for FROG and SQUISH, who make great lightweight, easy to ride bikes for your kids. FROG are the original and most wanted bikes for the discerning parent who want their children to enjoy their bikes because they fit properly, lightweight, fun to ride, groovy colours and hold their value well. SQUISH are the new kid on the block, made by reputable British cycle company DAWES, are similar in spec to FROG but a better value price point. Please ring 020 8368 3001 about these great cycles for your children and sizes and colours - or better still come in and we'll talk you through what's what. Ash and Cara will tell you all about them. 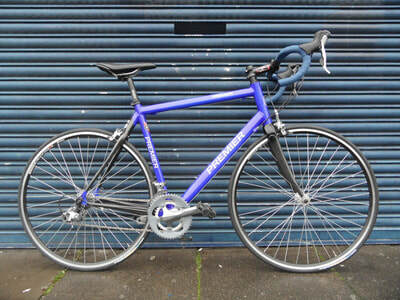 The CycleStore also stock RIDGEBACK, KROSS, CLAUD BUTLER, FORME, VIKING and other marques. We have a wide range of spares and accessories. THE CYCLESTORE HAS BEEN SUPPLYING AND MAINTAINING CHILDREN'S BIKES TO FAMILIES IN BARNET, FINCHLEY & NORTH LONDON SINCE 2003. WE ARE THE SPECIALISTS IN THE AREA AND OUR AIM IS TO MAKE THE SHOPPING EXPERIENCE FOR YOU AND YOUR CHILD A PLEASANT EXPERIENCE. WE STOCK A WIDE RANGE OF BIKES AND SPECIALISE IN THE NEW SUPER-LIGHT EASY RIDE BRANDS LIKE FROG, SQUISH AND PYTHON. WE ALSO SELL A WIDE RANGE OF HELMETS. SPEAK TO CARA FOR LATEST DEALS, AVAILABILITY, ADVICE ON WHEEL SIZE AND AGE RANGE, COLOUR OPTIONS. 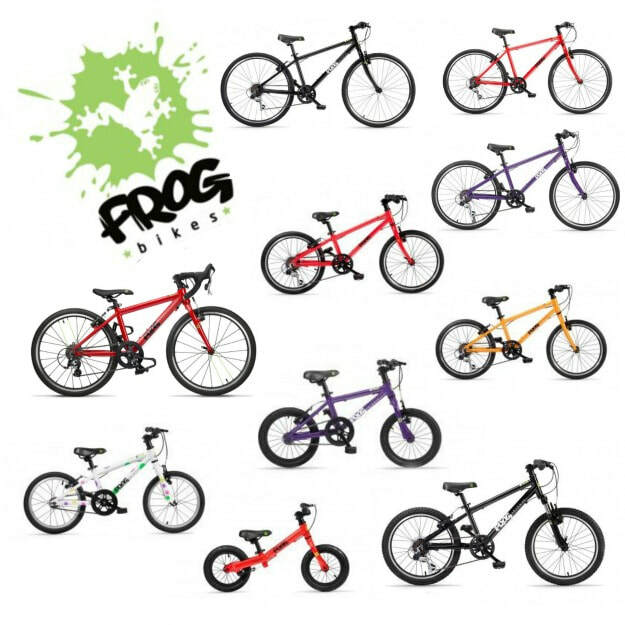 We have FROG bikes in all sizes and various colours in stock. We fully assemble the bikes professionally, ready to ride away, and we offer a free after-sales service. ARE YOU LOOKING FOR A QUALITY BICYCLE BUT ARE ON A BUDGET? 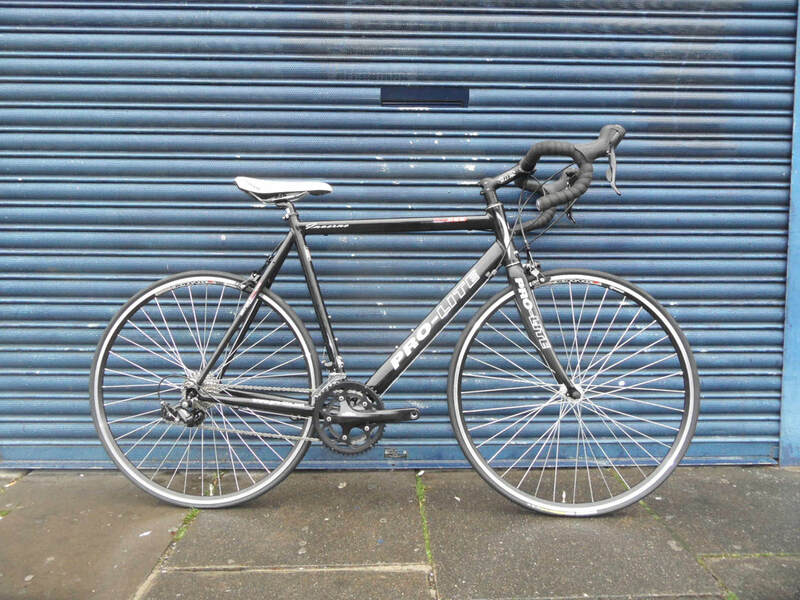 WE STOCK A RANGE OF USED BIKES AND MAY HAVE SOMETHING TEMPTING. 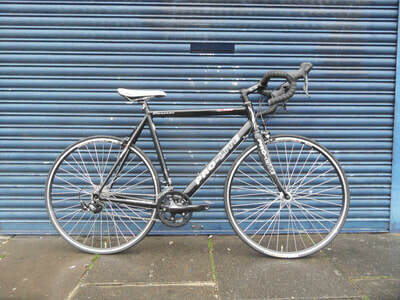 THECYCLESTORE HAS A GOOD RANGE OF PRE-OWNED AND CUSTOM BIKES. BOTH ADULT'S AND CHILDREN'S CYCLES. 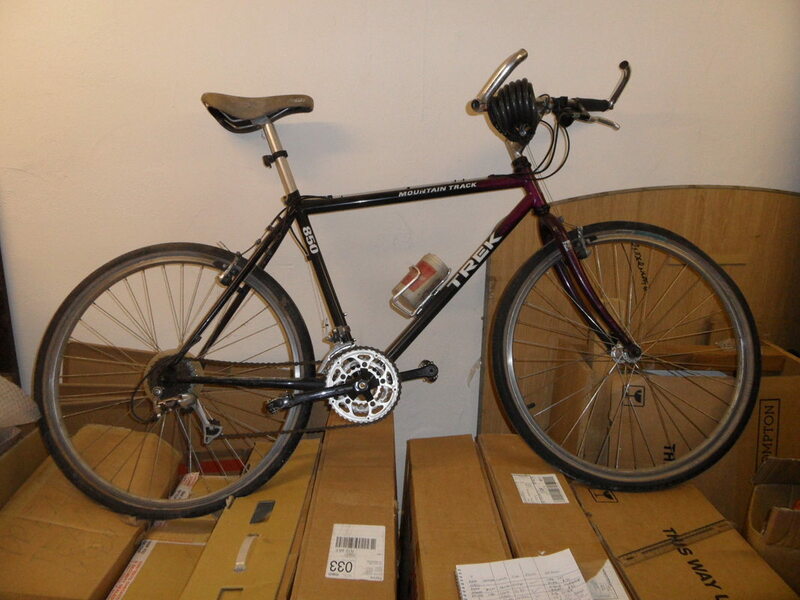 WE OBTAIN OUR BIKES THROUGH LEGITIMATE SOURCES. WE DO NOT DEAL IN NICKED BIKES OR GOODS. WE FULLY SERVICE OUR USED CYCLES SO THEY RUN LIKE NEW. WORN PARTS ARE REPLACED AND OUR MECHANICS MAKE THEM SAFE AND THE BIKES COME WITH A 6 MONTH WARRANTY AGAINST PARTS. RING ASH AND CARA AT THE SHOP AND WE'LL TELL YOU WHAT OUR UP-TO-DATE STOCK IS. 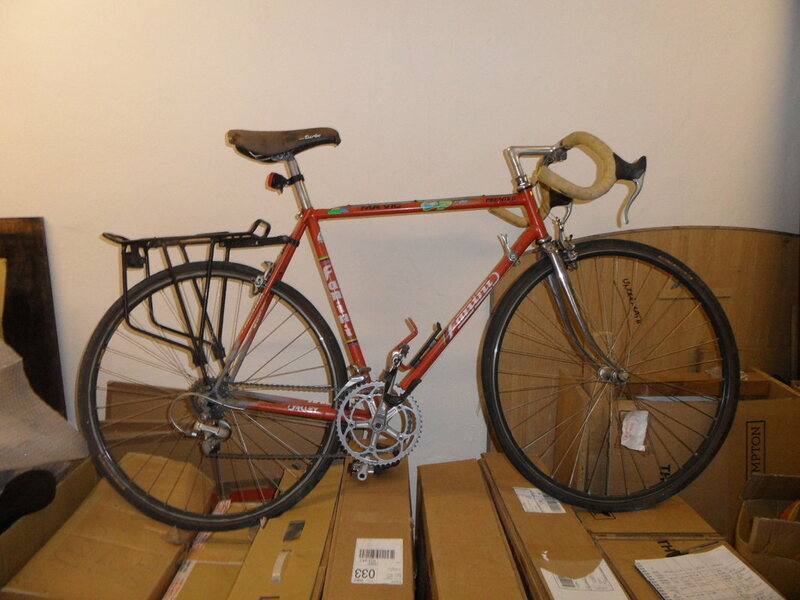 THE PICTURES TO THE RIGHT IN THE GALLERY ARE EXAMPLES OF THE TYPES OF SECOND HAND BIKES WE KEEP OR HAVE SOLD. SOME OF THESE BIKES HAVE NOW GONE TO NEW OWNERS. SO GIVE US A RING FOR OUR LATEST STOCK. The Multitrack was developed to cater for the ever growing demand from hire centres across the UK. Bikes that are hired out to customers to use on a short term basis tend to have quite a tough life, so we’ve built the Multitrack to cope with that. 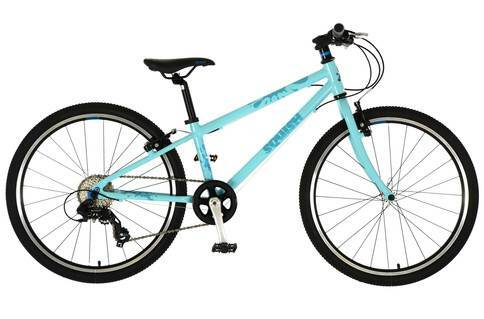 Lightweight, but durable alloy frame/fork, hard wearing double wall wheels, Kenda branded tyres with puncture protection, alloy v-brakes, Shimano 21 speed EZ Fire gearing all offer reliable performance, whilst the adjustable stem and unisex saddle take care of the comfort. Not only is it built to last, but it’s built to be used on various terrains, from city streets, to forest trails. 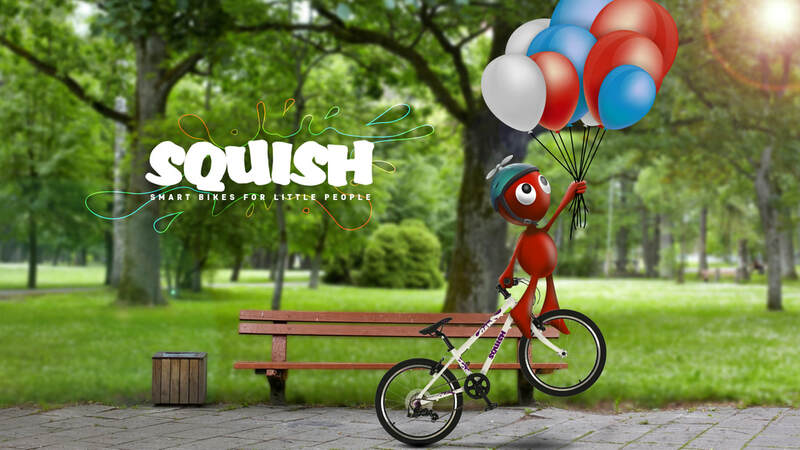 IF YOU ARE LOOKING FOR AN ALTERNATIVE TO A FROG BIKE FOR YOUR CHILDREN THEN TRY A SQUISH - THE NEW LIGHTWEIGHT KID'S CYCLES FROM DAWES. BRILLIANT VALUE, EXCELLENT DESIGN, YOUR CHILDREN WILL LOVE THEM. Please ring, 020 8368 3001, or better still pop into our shop and see what fantastic offers we have on offer. Keep your child safe with a helmet. We are now stocking TUZII in-moulded helmets for both kids and adults. These are high specced with contemporary design and fantastic prices. "We don't think it's only grown-ups who should have all the good stuff! We've really thought about the design in the PYXIS range of bike helmets for kids to ensure that you have great styling as well as essential safety elements - everything you'd expect from a bike helmet for your child. Firstly, the Pyxis helmets are injection moulded cycle helmets which means enhanced strength and increased protection. The PYXIS is very well vented and fits compactly and comfortably on your child’s head with good padding and an easy to use 360 degree auto dial retention system to adjust the fit. We know how quickly children’s tastes change so we have individually styled both size options ensuring our designs have maximum appeal to the appropriate age groups." The CycleStore is pleased to become an official dealer for FORME cycles. FORME is a new cycle company which offers top deals on bikes with lightweight frames and quality components at prices which many well-known brands cannot match. Please ring for details on these exciting machines. ​Click the logo to go to the Forme company website to view their range of great cycles. The CycleStore has sold and serviced Brompton bikes for many years. We have a wide selection of these amazing British made folding bikes in store, and can supply you with a custom built machine to your specification. Please contact us for further information about these ever popular bikes. All our Bromptons are fitted with Schwalbe tyres as standard, we feel that they are the best! We have 2 standard demo bikes, M6L, S6L and an S2 Superlite Titanium, all of which you may test ride for up to 3 days. If you are riding a Brompton (or any bike in London), we heartily recommend the famous Marathon Plus puncture protection tyres from Schwalbe - even though they put us out of the flat tyre repair service! LOOKING FOR AN ELECTRIC BIKE? WE ARE PLEASED TO STOCK EMU . 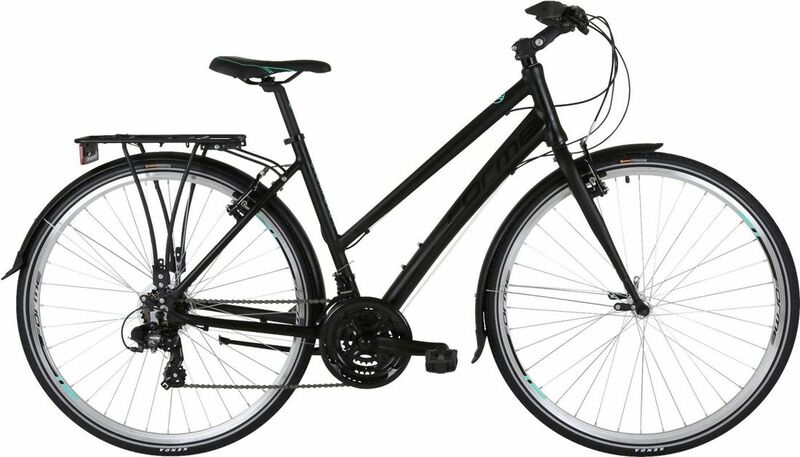 PLEASE CLICK HERE FOR FURTHER INFORMATION ON THESE BEST SELLING UK ELECTRIC BIKES. 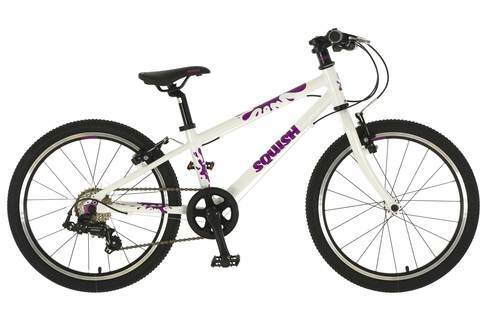 • Brand New - we have now taken stock of the new range of Dawes lightweight children's bikes called "Squish". These are aluminium framed with alloy wheels and quality components. If you are looking for a top-value cycle for your bundle of joy which are a great alternative choice to Frog then look no further than the Squish range. Please ring for details. A full selection of Frog bikes are now in stock for your kids to try out for size. 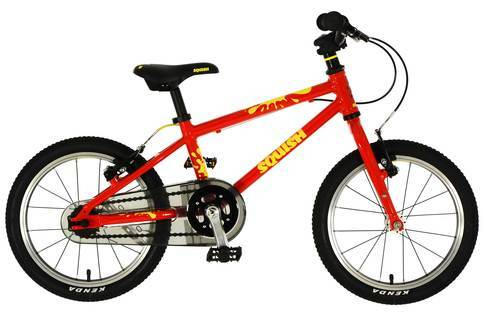 These are superlight children's bikes which fit properly and are easy to ride which is why they have become so popular. Both parents and kids love them. RING ASH & CARA FOR ADVICE, PRICE AND AVAILABILITY. Something a little bit different. 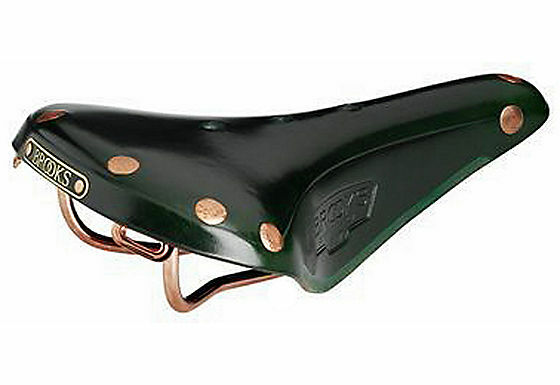 All hand crafted by British tradesmen the most comfortable saddle you will ever ride. We fix pushchair and wheelchair punctures & have a selection of tyres in stock if yours need replacing. The CycleStore is proud to become an official dealer for the exciting KROSS bikes. This new company produces quality ranges of hybrids, tourers, cross and mountain bikes with impressive specs, contemporay design combined with brilliant value for money. Give us a ring and arrange for a viewing and test ride. We need to clear stock for the arrival of new season 2019 models. 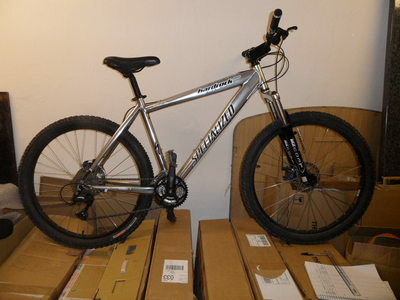 We have sales on hybrids, mountain bikes, racers, children's and some accessories. Stock is extremely limited so it is best to ring up to check for availability and sizes. VIKING Scirrocco 56 cms RRP £449.99 SOLD! ADVENTURE Ostro (starter sports bike) 51cms RRP £399.99 Now £299.99 25% off! BMX Big Daddy Mag wheels RRP £269.99 Now £169.99 SAVE £100! 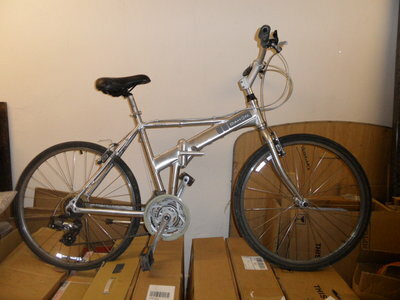 If a Brompton is too pricey or not what you need then try a Dawes Folding bike. We stock the Jack and the famous Kingpin. Great for commuting, or popping in the boot of your car for leisure rides. The Jack​ is a high quality affordable bike that’ll meet the requirements of most commuter or leisure rider. The alloy frame has our 3 point locking mechanism with telescopic handlepost for a safe and tailored fit. Equipped with high quality Shimano 6 speed derailleur gears, double wall alloy rims and mudguards make it excellent for commuters, leisure riders and people looking to take the bike away on holiday. You can take it almost anywhere and the ride is always great. OUR PRICE £399.99 £130 OFF! The Espresso is modelled on a traditional gents bike but is fitted with all the mod cons. Shimano Altus 9spd gears with Rapidfire shifters take care of the hills, whilst the Shimano hydraulic disc brakes bring everything to a stand still with ease. This bike looks like a traditional, stylish, “fashionable” bike, but has all the pedigree of an everyday commuter. Ride to work but don’t want to be head to toe in lycra? The mudguards fitted as standard ensure you and your clothes arrive looking dry and clean. We love this bike with its old-school slim-line chromoly frame, its looks stand out from everyday fat aluminium bikes. Last one left of this bike so going for a song! The PREMIER ROYALE is quality entry-level road/racer/endurance bike that comes with our lightweight alloy frame and quality carbon forks. This bike is great for long runs without discomfort. A real mile muncher. Also suitable for commuting and fun weekend rides. Equipped with Shimano Tiagra this is a tough bike that will give much satisfaction. Especially with this sale price. We normally sell this bike at £899.00. This last one is to clear so grab a bargain. Just £699.00. 56cm/22". The new 2018 Ridgeback Velocity Open Frame women's hybrid. RRP £499.99 The CYCLESTORE £425.00. We like this one a lot, does everything you need done well. You would be hard pressed to find a better specced and great riding hybrid at this price. Come on for a test ride, or ring for availability. Mens' version available. We are North London's local bike shop. Based in Friern Barnet we've been selling new and used bikes for over 10 years. Our friendly and knowledgeable staff can give you professional advice on all your cycling needs. The shop holds a good range of road racing cycles and frames, children's bikes, mountain, town, and hybrids. We are a small shop so can't stock all sizes but we should be able to get the right bike for you in a couple of days. We are a Frog bikes stockist. The amazingly light, high street equivalent to Isla Bikes, that you can actually try before you buy. The kids love 'em because they are easy to ride, so these are winners in our eyes. As a Brompton main dealership, we can help you with all your Brompton needs including servicing and frame joint replacement. There is a reason these bikes are one of the UK's top ten exports that are loved the world over. That is that they are simply the best folding bikes in the world and when you buy one of these you are entering in to a lifestyle that will have you smiling from ear to ear. Home to our owed celebrated Premier bikes, a unique set of custom built road bikes each one pretty much unique. Say no to the off the peg, demand more and get it with Premier. We have a selection of frames which we can custom make to your requirements to the specs you want. Please call or better still come into the shop for more information on Premier bikes - bespoke cycles at regular prices. WE NOW STOCK TUZII AURIGA HELMETS. THE PERFECT URBAN HELMET FOR THE LONDON COMMUTER. 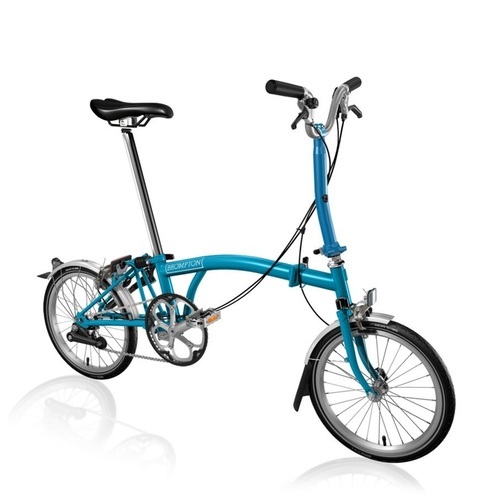 IDEAL FOR THE BROMPTON USER; STYLISH, CONTEMPORARY DESIGN, WELL-MADE. IN-MOULDED FOR EXTRA SAFETY. EXCELLENT VALUE. FROM £49.99. • NEW FOR 2018 We are now official stockists of the exciting range of KROSS bikes. These brilliant value for money machines assembled with quality components and built to exacting specifications. KROSS build a wide range of machines but initially we are focussing on cross bikes, MTBs and hybrids. Please come and test ride - you will be really impressed. Please ring Ash and Cara 020 8368 3001 about these brilliant value well engineered and specced bikes, we are impressed. Or come in for a test ride - we think you'll be impressed too! We can tell you all about these ​exciting new machines, what we have in stock and sizes, or check their website and we can get the bike in for you, build it professionally so you get the full 5 year warranty, followed by our free after sales service. For your peace of mind we offer a comprehensive sales and after sales service. All cycles are fully inspected and serviced to your requirements at point of sale and we offer a free back-up service and check-up within 3 months of purchase. Our fully equipped workshop and can do most jobs from a simple puncture to a strip down and rebuild service. PLEASE SEE OUR SERVICE PAGE FOR OUR RANGE OF REPAIRS AND MAINTENENCE PACKAGES FOR YOUR BIKE TO KEEP YOU ON THE ROAD. 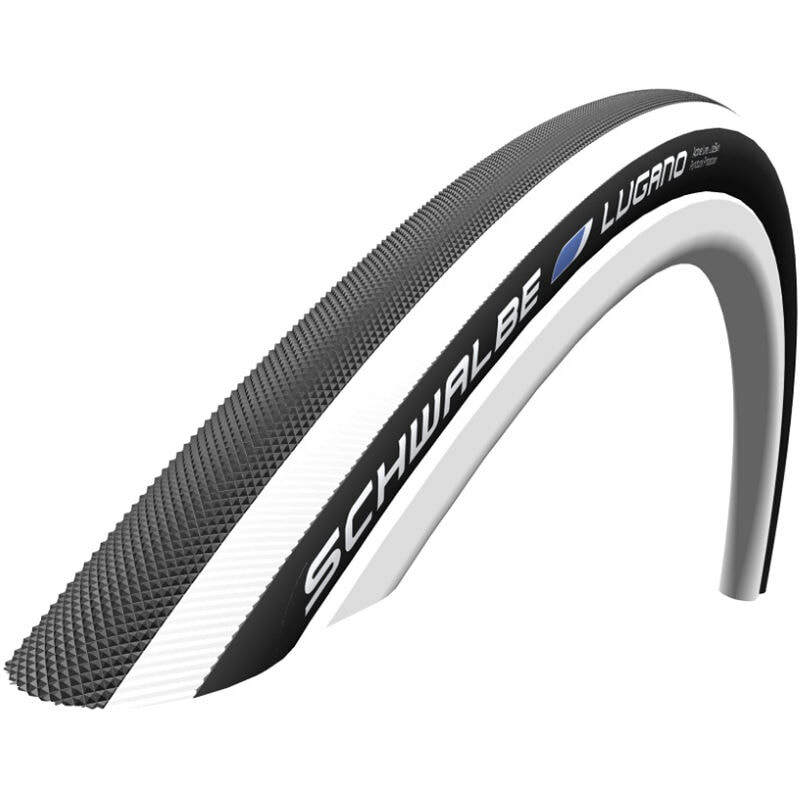 ESSENTIAL If you commute on London's roads you need the most puncture protective tyre on the market, the legendary Schwalbe Marathon Plus. The best there is. RRP £41.99, our price £39.99, and worth every penny! GOT A PUNCTURE? WE CAN CHANGE YOUR TUBE, AND TYRE IF NEEDED, ON THE SPOT. REGULAR TUBE AND FITTING COSTS £15.00. LONG VALVE TUBES ARE EXTRA. COST IS £20 FOR BIKES WITH HUB GEARS INCLUDING BROMPTONS. Beat the misery of changing a puncture. Punctures are a memory. The SmartGuard® layer made from a flexible, special rubber offers particular resistance to shards of glass and flints. Even a thumbtack cannot penetrate this protective layer. 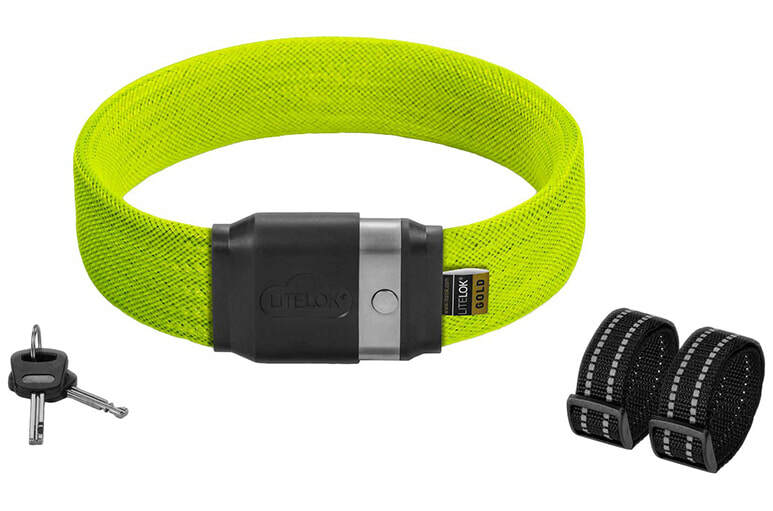 The SmartGuard belt does not increase rolling resistance. The MARATHON PLUS rolls as easily as a tyre without protection. 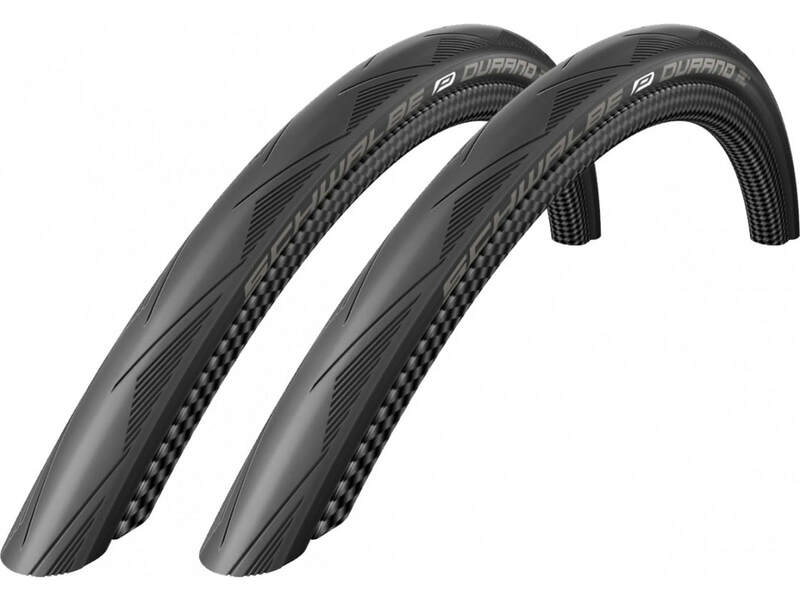 For road bike users there is the Durano Plus which provides as much protection but in a slicker tread.